A decision by Greece’s asylum appeals committee to grant protection to one of eight Turkish officers accused by Ankara of participating in the botched coup of 2016, will have “negative impacts on bilateral relations,” Turkey’s Foreign Ministry was quoted by Daily Sabah as saying. 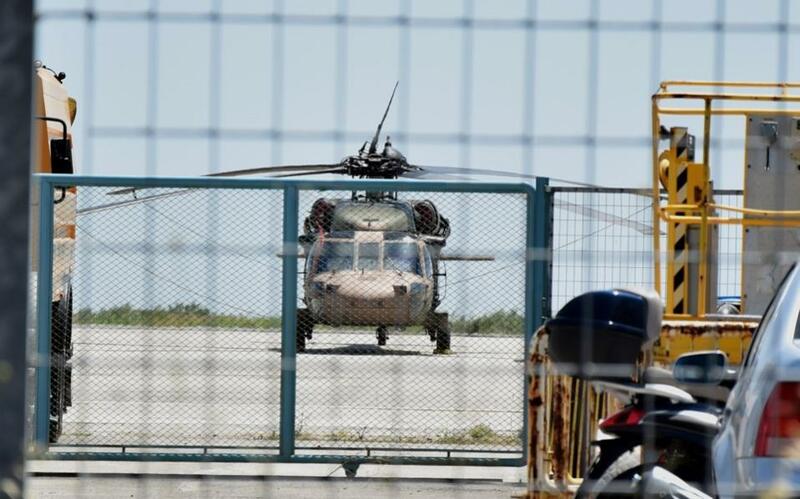 The decision was “politically motivated,” the Turkish newspaper quoted the Foreign Ministry as saying after the committee’s decision was announced, granting asylum to the copilot of the helicopter that flew another seven servicemen into northern Greece just hours after the attempted overthrow of July 15, 2016. “Greece failed to show the support and cooperation we expect from an ally in the fight against terrorism by preventing criminals who took part in killing hundreds of Turkish people and targeting the democratic order,” the ministry reportedly said. “By granting asylum to one of eight coup plotters involved in the July 15 coup, Greece has once again showed that it is a country that protects and embraces coup plotters with this decision,” the statement added. Turkey has repeatedly requested the extradition of the eight officers but the Greek Supreme Court in January turned down the request amid concerns that they would not receive a fair trial if returned to their country. The asylum committee upheld the court’s position, as well as arguments by international rights groups and the Council of Europe expressing concerns about Ankara’s human rights record in the wake of the attempted coup, adding that there was no evidence to suggest the copilot’s involvement in the uprising. The other seven servicemen are still in custody awaiting the committee’s decision on their asylum applications, probably next week. During a visit to Greece in early December, Turkish President Minister Recep Tayyip Erdogan had reiterated calls for the officers’ extradition. “If such an event was undertaken against Greece, we would have been very careful. We would have immediately detained those individuals and extradited them to Greece,” Erdogan had also said in an interview with Kathimerini ahead of his visit.